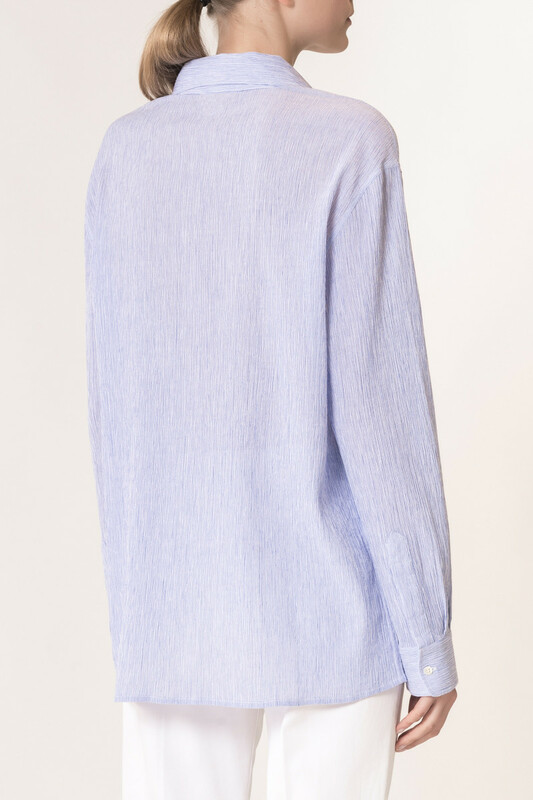 VANESSA BRUNO, Lightblue Striped cotton shirt, with long sleeves. 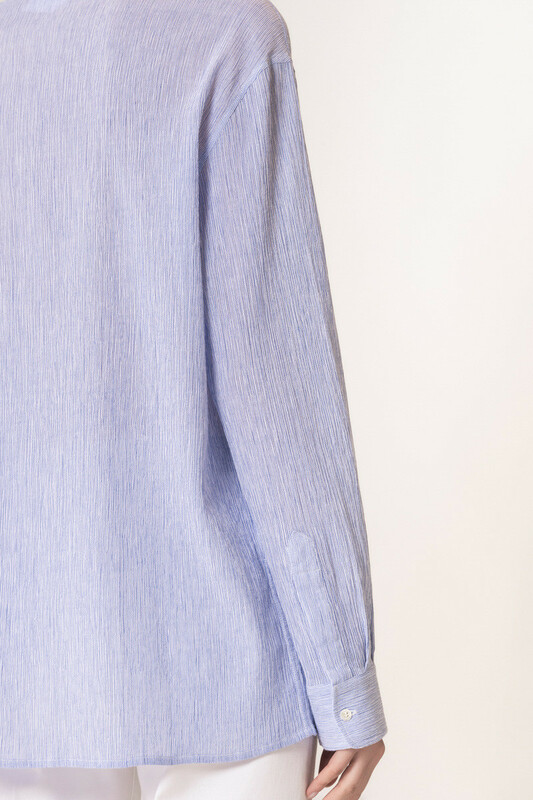 Wide shape and straight cut, for a masculine look. 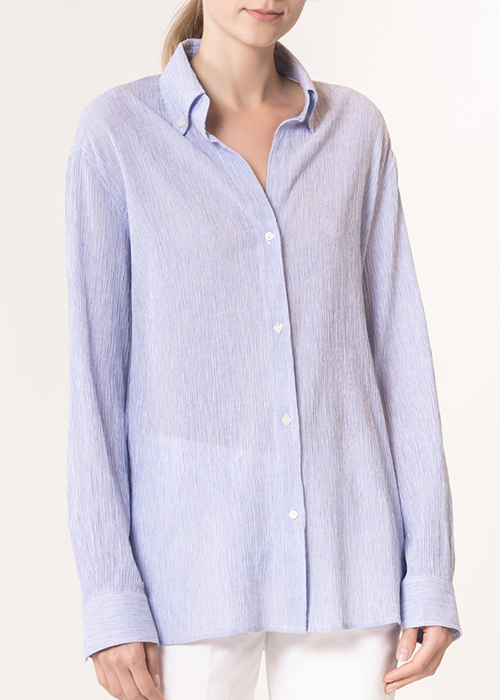 Five front buttons and no closure on the collar to enhance the low-cut neckline.